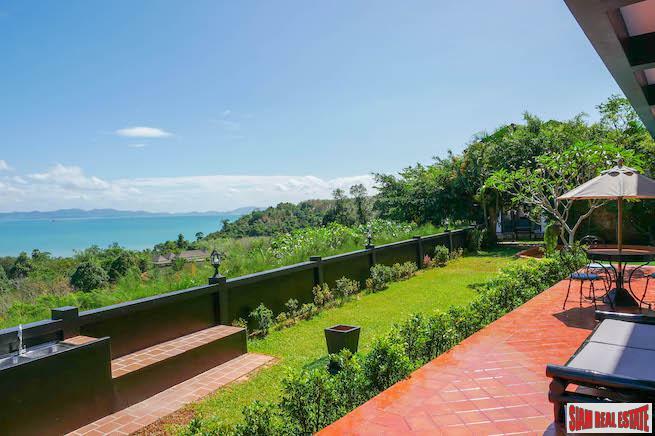 Firecrackers, colourful processions and local entertainment as the Phuket enters the Year of the Dog this February. 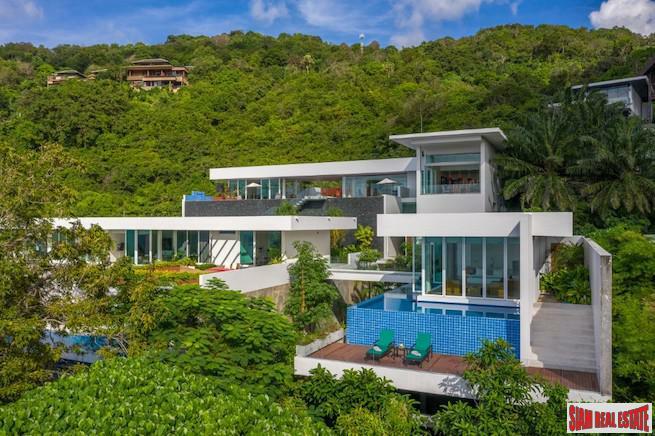 Vibrant celebrations as Phuket's local Chinese community prepares for its most important festival. 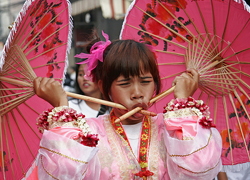 Adding to the celebrations is the Old Phuket Festival, held in the old Sino - Portuguese quarter of Phuket Town each year. 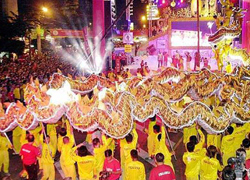 Entertainment and highlights like the Dragon Procession promise a kaleidoscope of colour in the streets during the two day festival. 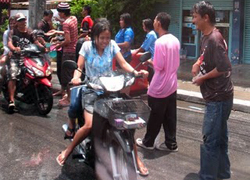 Festival Songkran Festival is the traditional Thai New Year celebrated on April 13th. 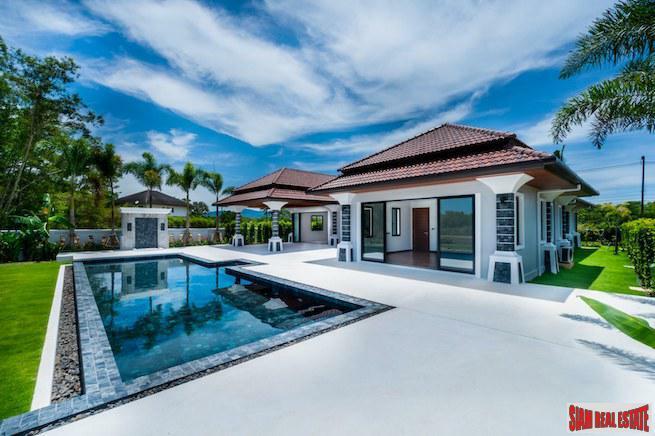 Families and friends gather to celebrate by visiting temples, sprinkling water on Buddha images in reverence, and sprinkling water on each other's hands as an act of wishing good luck. 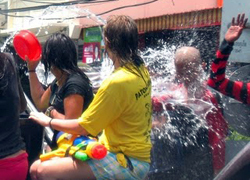 On the streets all over Thailand everyone gets involved in water fights, and it is usual to have buckets and containers of water thrown at you by teams of merry makers in the backs of trucks as you make your way down the street - particularly in major tourist areas like Patong. So dress in swimming gear and wrap your possessions in plastic bag as you are guaranteed to get very, very wet if you go out during the 2/3 days festival. The event is held over a nine day period in late September/early October, this celebrates the Chinese community's belief that abstinence from meat and various stimulants during the ninth lunar month of the Chinese calendar will help them obtain good health and peace of mind. The origins are thought to be a Chinese opera group whom fell ill with malaria and decided to adhere to a strict vegetarian diet and pray to the Nine Emperor Gods who would ensure purification of the mind and body. On recovery, the people celebrated by holding a festival that was meant to honor the gods as well as express the people's happiness at surviving what was, in the nineteenth century, a fatal illness. In every stretch of water, lake, river you will see the flickering lights floating on the water, a truly mystical experience and an event not to be missed. 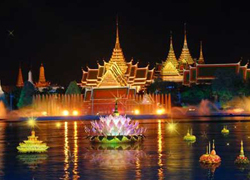 This is Loi Krathong, Thailand's 'festival of lights'. Held yearly, on the evening of the twelfth lunar month, it is the time of year when the waters around the country become alive with candlelight. Made from a banana tree, the idea behind the kratongs is to put all your misfortunes in a boat, and allow them to literally float away. ("Loy"- to float, and "krathong" - a leaf cup or bowl). 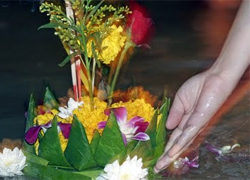 Kratong’s are decorated with flowers and banana leaves, leaving room for the candles and 3 sticks of incense.